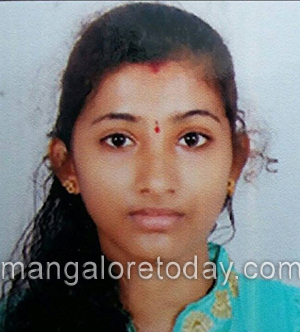 Kundapur July 24, 2016 : A teenage girl commits suicide by hanging herself from the window of her room .The incident took place on July 23, Saturday night in Kundapur leaving behind a death note. The deceased girl is identified as Pragathi Shetty. She was 16 year old , Second Daughter of Ganesh Shetty of Mandharthi Yakshana Mela of Kundapur. She was a First year PUC student of Bidkalkatte Government College and Ex-Student of Morji Desai Residential School. It is said that previous day of the incident her parents were called to college over some issue. She blames the lack of love from her parents for the extreme step in her death note. Her death note says that -My family loved only my younger sister. Why should I live if I am not loved by my own family?. Her body was shifted to Hospital for Post mortem. Kota police have registered a case. Shame on the girl’s attitude, Its good she ends herself but she has put her parents in trouble. This is the foolishness of the girl that she ended her life in your inferiority complex. Never built guilty consciousnesses among yourself because the parents never treat the children this way . Its we we who think so.